The largest town is Fort-de-France, well known for its Paris-like feel. Relaxation, culture, and romance can be found around these islands, the archipelago is an ecological oasis, with the clearest water on earth. Tanto la parte francesa como la holandesa son montañosas, y ofrecen hermosas vistas para quien aprecia la isla desde el mar. From deserted beaches to soaring mountains, the two main islands offer a wealth of attractions. 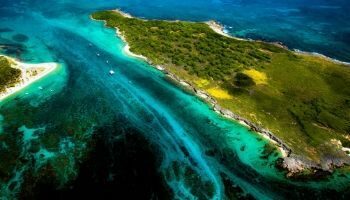 Known for its reef-lined beaches and as a yachting destination, all activities take place around these breathtaking islands. What could be more relaxing than a boat rental in the Caribbean? A tranquil tropical climate with breathtaking views of snow white beaches inhabited by wildlife and natural beauty. Swim with the friendly water pigs in the Bahamas or kayak across the psychedelic lagoon in Bahía Mosquito in Puerto Rico as you admire the fluorescent water and tropical fish below; the peculiar delights on offer in the Caribbean are truly out-of-this-world. So what are you waiting for? Cruise the Caribbean on a boat rental and discover raw nature wild at heart. Between March and June, the Caribbean is an absolute pleasure to sail. Though in general, the Caribbean is nice almost all year round. The only time we don’t advise you sail is in hurricane season during August and September. 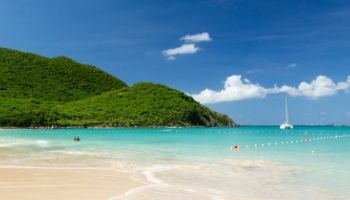 Sailing the Eastern Caribbean in early summer (March - June) is perfect. Not only are there fewer tourists, but the weather is calmer and tranquil with flowers blooming all around. In addition, anchoring and exploring the gorgeous bays of the islands is effortless, as the trade winds are ideal for holiday sailing. 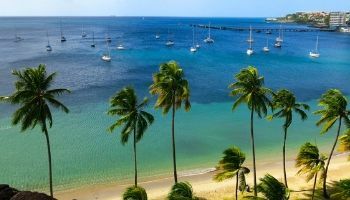 We recommend sailing the East Coast and lagoons on a boat rental in Martinique during this time of year. 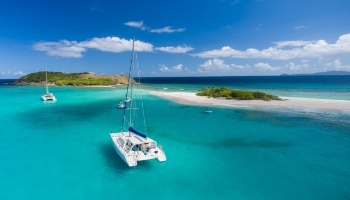 Although it’s windier and cooler, Christmas time is a very popular time for sailing the Caribbean, as well. Bookings are taken fairly early in advance (up to a year), so book in advance to avoid disappointment! Similar to Christmas, Thanksgiving is also very popular for sailing holidays in the Caribbean. The list of itinerary ideas is endless! We have unlimited amounts of sailing routes and restaurant recommendations on our Nautal blog. You can find itinerary plans of various lengths, from 3 days to a fortnight, with beach hotspots, nature attractions and upbeat locations on these paradisiac islands. 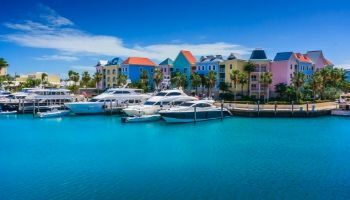 There are international airports dotted all over the many Caribbean islands, meaning the chances are you can fly directly to your boat rental location. However, there are other ways of getting to the Caribbean. For example, flying to Miami is a good option for getting the Bahamas. 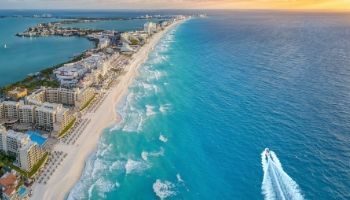 You can rent a boat in Miami and sail to the Bahamas, or you can simply change at the airport and catch a local flight to your desired island.